India’s Saina Nehwal came from a game down to beat China’s He Bingjiao in her women’s singles semi-final match at the Badminton World Federation (BWF) Indonesia Masters in Jakarta. Japan’s Kento Momota produced an absolute masterclass to beat home favourite Anthony Sinisuka Ginting and book his place in the semi-finals of the Badminton World Federation (BWF) Indonesia Masters in Jakarta. Second seed Shi Yuqi of China suffered elimination from the Badminton World Federation (BWF) Indonesia Masters after losing to home favourite Jonatan Christie in Jakarta today. Japan’s Kento Momota will look to kick start his 2019 season this week when the Badminton World Federation (BWF) Indonesia Masters gets underway in Jakarta. 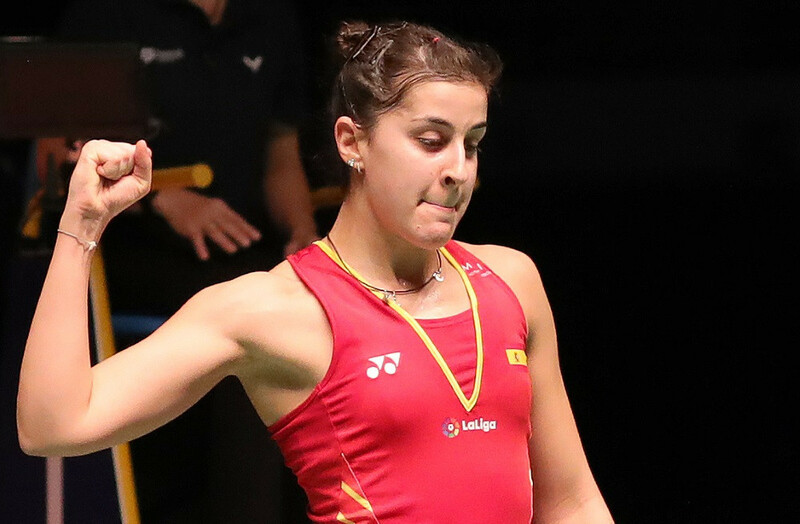 Defending champion Ratchanok Intanon of Thailand reached the women's singles final at the Badminton World Federation (BWF) Malaysia Masters – but defending men’s champion Viktor Axelsen of Denmark was beaten in his semi-final by China’s Chen Long. 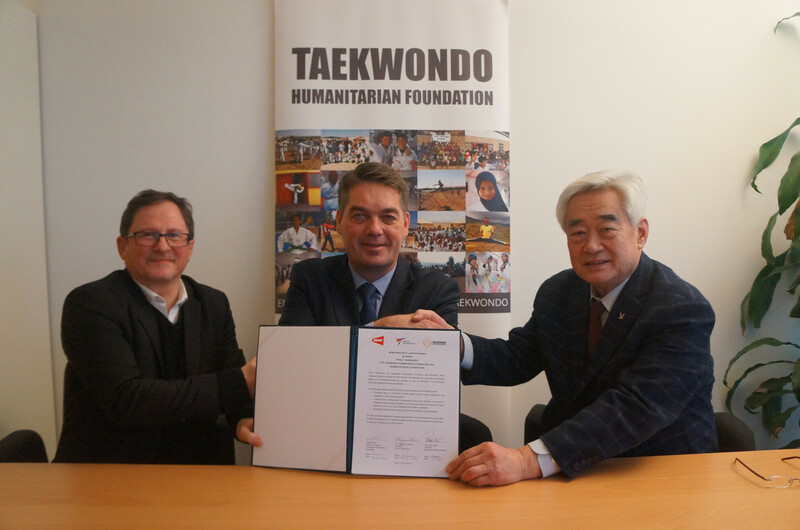 The Taekwondo Humanitarian Foundation (THF) and World Taekwondo have signed a Memorandum of Understanding (MoU) with the Badminton World Federation (BWF) to promote humanitarian, peace and "development supporting" activities. Top seed Kento Momota suffered a shock first-round exit from the Badminton World Federation (BWF) Malaysia Masters after losing to fellow Japanese player Kenta Nishimoto in Kuala Lumpur today. Home hope Lee Zii Jia is through to the opening round of the Badminton World Federation (BWF) Malaysia Masters after winning his two qualification matches in Kuala Lumpur today. 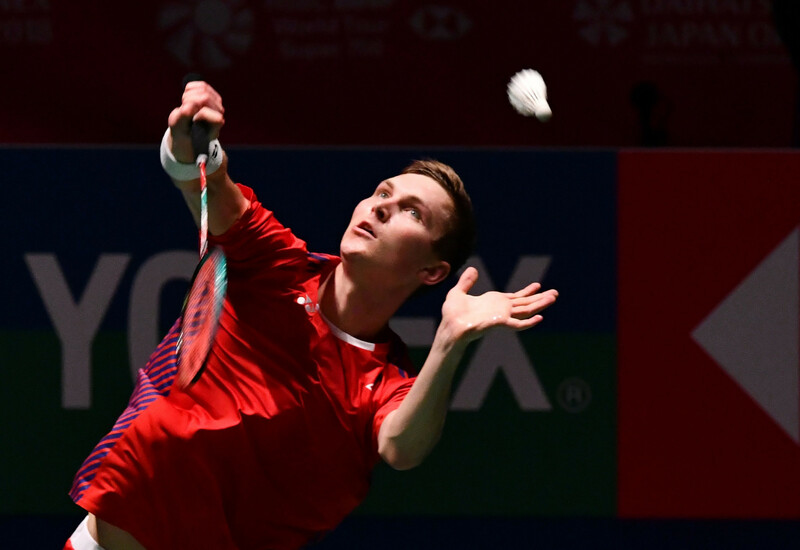 Reigning world champion Kento Momota could face China's Shi Yuqi once again at the Badminton World Federation (BWF) Malaysia Open, which begins in Kuala Lumpur tomorrow. Top seed Lin Dan battled past his compatriot Lu Guangzu to book his place in the Badminton World Federation (BWF) Thailand Masters in Bangkok today. Top seed Lin Dan of China remains on course for men’s singles success at the Badminton World Federation (BWF) Thailand Masters after coming from behind to beat Malaysia’s Cheam June Wei in Bangkok today. Top seed Nitchaon Jindapol's hopes of securing a second consecutive home success at the Badminton World Federation (BWF) Thailand Masters came to an abrupt end today as she lost in three games to unseeded Indonesian Fitriani Fitriani in Bangkok. Two-time Olympic champion Lin Dan of China held off a spirited effort from home favourite Kunlavut Vitidsarn to secure his place in the second round of the men's singles competition at the Badminton World Federation (BWF) Thailand Masters in Bangkok today. 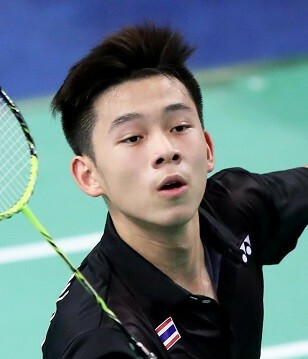 Home hope Kunlavut Vitidsarn successfully came through his two men's singles qualification matches today to set up a first-round clash with top seed Lin Dan of China at the Badminton World Federation (BWF) Thailand Masters in Bangkok.